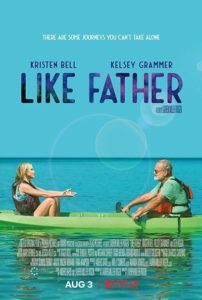 My review of “Like Father,” the new Netflix film with Kristen Bell and Kelsey Grammer, is on rogerebert.com. Bell and Grammer are consummate pros. They cannot make this material surprising, believable, or even particularly moving, but they do their considerable best to hold our attention and are always watchable. Their scenes together are high points, even when the big speeches are thinly conceived. If the discussions about whether Rachel really needs to be on her phone at a gorgeous secluded waterfall and whether Harry has really confessed everything Rachel should know get tedious, the evident enjoyment that Bell and Grammer have in being together, especially in their silly karaoke number, make us happy to come sail away with them for a little while. Coming to Netflix June 14, 2018 — “Set it Up,” the story of two assistants to highly demanding bosses who decide to “Parent Trap” them into falling in love so they won’t be so demanding. Cute idea and two stars from one of my favorite films from 2016, “Everybody Wants Some! !” — Zoey Deutsch and Glen Powell.